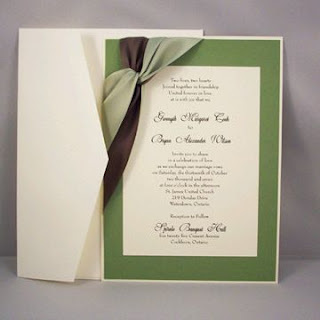 One of the colors that fashion is all about colors for a wedding is green, and although this color is often associated with outdoor weddings or made during the day, it's actually a very elegant option good for all types of presentation. 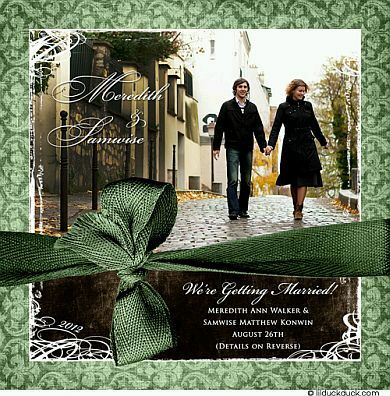 Here are some models of wedding invitation cards worked in green. 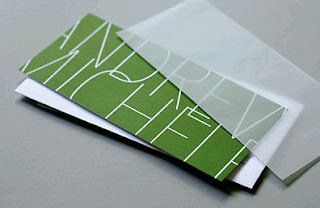 In this first model have a white card with green edges, black lettering and green and black tie. Romantic and elegant, is the first thing you think when you see this model wedding invitation, simply place your best photo as a couple and ready, edge and green tie, do the rest. 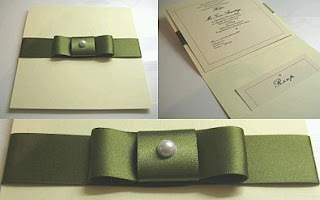 Another model light but very classy, ​​it is a green card with black lettering. 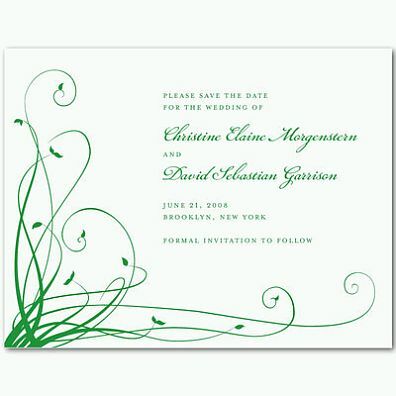 Elegant and delicate wedding invitation with a peculiar green bow on the outside. 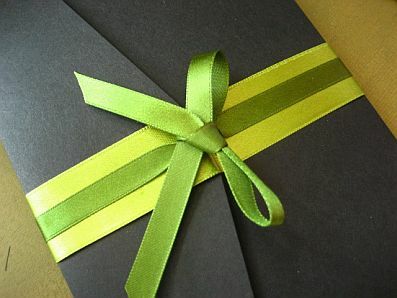 If you are a person who likes ties, this is another proposal, it is a thin green ribbon bow on a yellow, which are the perfect contrast to the black card. If your wedding is related to the nature, the following models of wedding invitations might be useful. 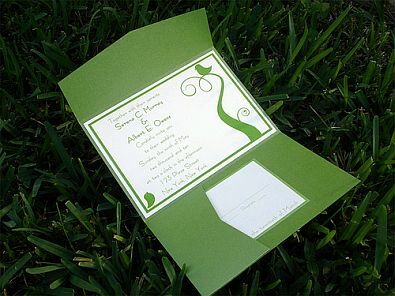 In this first you have a card in the shape of green weeds. 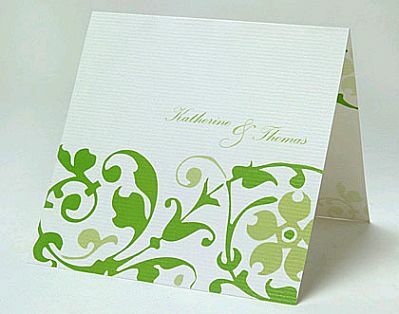 Quite similar to the previous one, on this card branches and leaves are seen also in green. 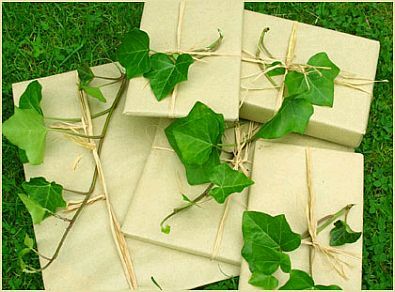 Original cards that appear to be a small package tied with a rope and adorned with a green leaves. 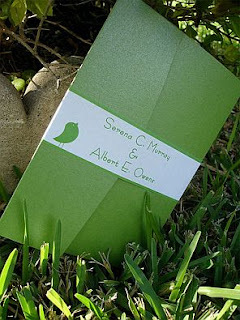 Finally a nice wedding card model made in green paper and secured with a white strip with the curious impression of a bird. When you open the card, the model is surprising, it is a branch with a bird on the top and one at the bottom, watching him.